I love covered bridges! Great capture! I think covered bridges are so interesting and each one is very unique in it's design. I like the reflection color in the water. 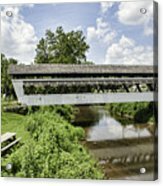 Wonderful capture of Johnston Covered Bridge! 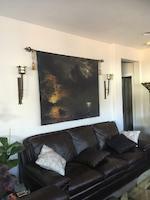 Very nice composition! Love it! Great capture with the reflection! 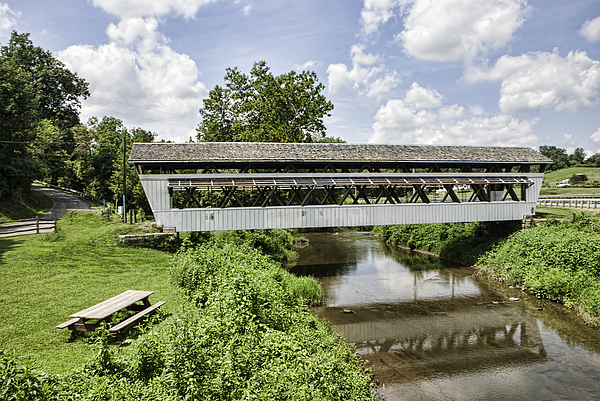 Johnston Covered Bridge is located in a county park in Fairfield County, Ohio. 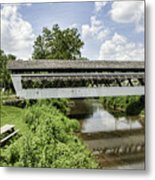 Built in 1887, the Johnston Covered Bridge is the county�s longest covered bridge still resting on its original abutments. 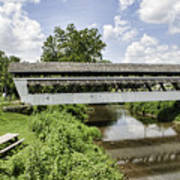 At 99 feet long, this historic structure was built by August Borneman and features Howe trusses with two full-length canopies on both sides of the bridge, making the trusses easily visible from the outside. The bridge was bypassed in 1991, allowing it to sit in its original location over Clear Creek.